The NikeCourt Aerobill Featherlight Cap combines sweat-wicking fabric and mesh panels for breathable comfort. A black underbill helps keep the glare at bay to reduce distractions during match play. Back closure adjusts for a customized fit. Great hat with a awesome price, cool to wear great with summer coming soon! This cap is the perfect fit. It nice and snug on your head not to tight. Just the petfect fit. 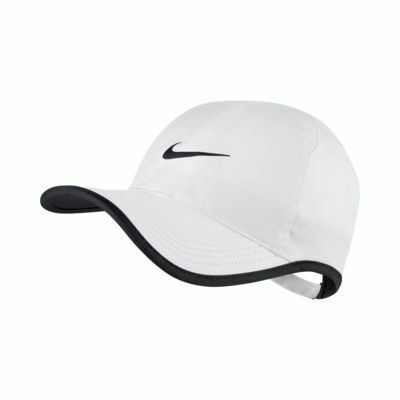 This cap has a nice round brim with a greay bend to it.